Happy St. Patrick's Day! I can't believe that it's already mid-March, this year is going by so quickly. It's been a while since I posted because life just keeps getting in the way, with zero plans this weekend I mentioned to Dave that I wanted to come up with something to post today. 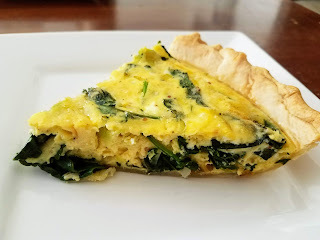 We already had a pie crust, eggs, and kale on hand so a quick trip to the store was all we needed for leeks and Irish cheddar (and Starbucks to power the morning, how great is the new Caramel Cloud Macchiato?). 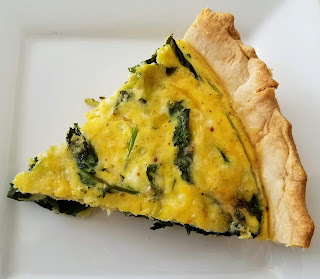 Quiche is a favorite in our household because it's so simple to make and the leftovers are easy to grab for breakfast or lunch at work the next day. 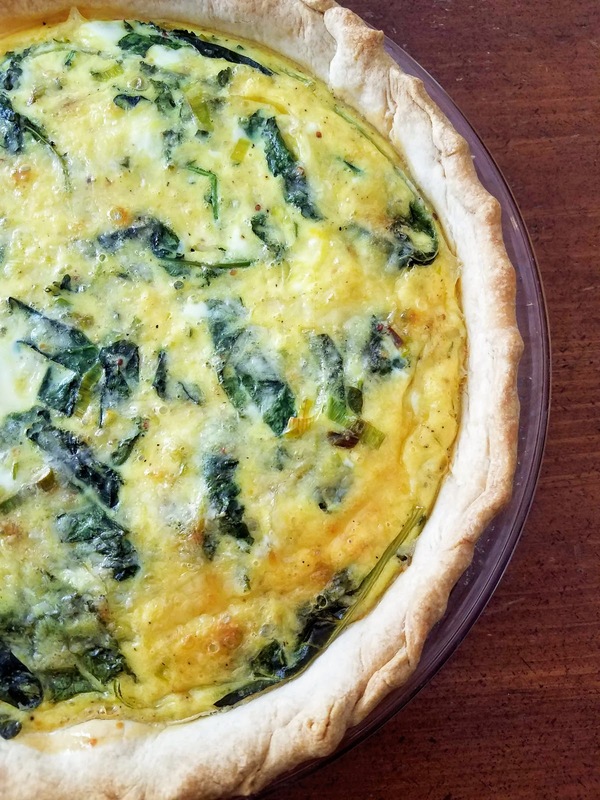 Preheat the oven to 375 F. Press the pie crust into a 9-inch pie pan and set aside. In a medium skillet heated to medium heat, add cooking spray or a small amount of neutral cooking oil. Add the leeks and cook until they are bright green and fragrant (about 4-5 minutes). 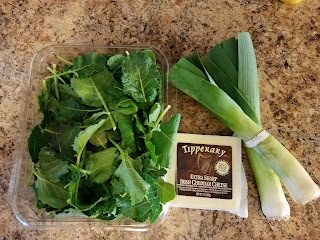 Add the baby kale and cook until the kale has wilted (2-3 minutes). Add the garlic clove and remove the skillet from the heat. In a bowl, whisk the six eggs with the whipping cream until combined. 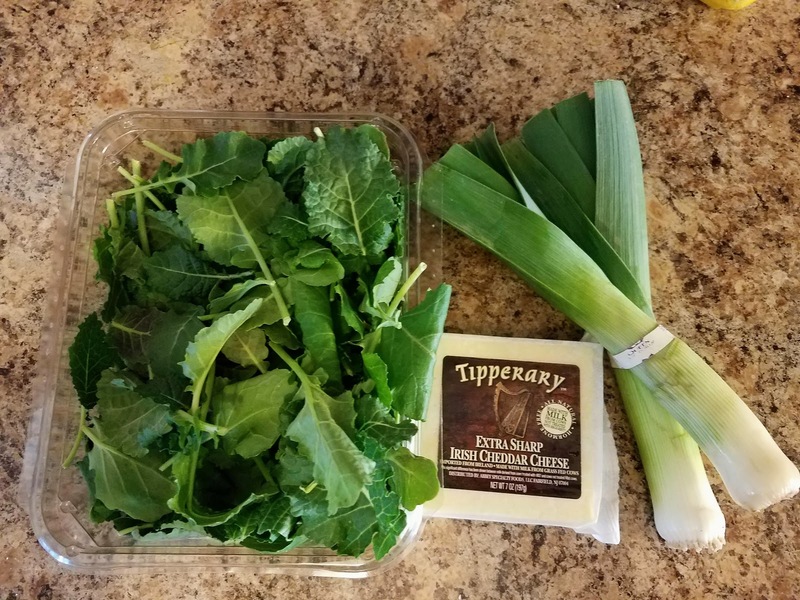 Add the leeks, kale, and garlic along with 2 ounces of the Irish cheddar and 1 teaspoon of stone ground mustard and salt and pepper to taste. 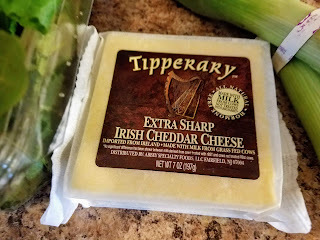 Pour the egg mixture into the prepared pie crust and top with the remaining half ounce of Irish cheddar. 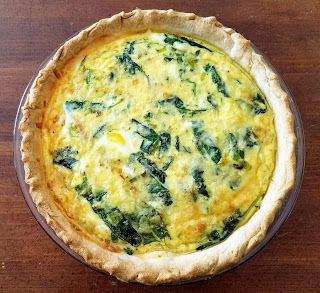 Bake at 375 F for 30-35 minutes or until the top of the quiche is golden brown and the center is set.